"Mussolini never killed anyone. 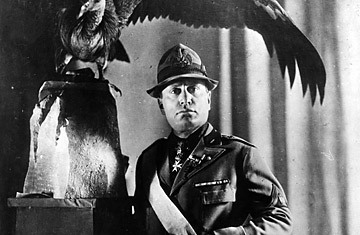 Mussolini used to send people on vacation in internal exile." Well, that's one way of putting it. Berlusconi's remark reads like a twisted euphemism, though in fact he was rejecting the comparison of Italy's fascist dictator  who exiled his political enemies to internment camps  to Saddam Hussein's willingness to execute foes. Still, defending as "benign" the despot who allied himself with the Nazis during World War II was a recipe for reopening old wounds in a nation seeking to shelve this dark chapter of its history. Critics savaged Berlusconi for the comment, which he made in 2003 to an Italian magazine, but the pol simply shrugged it off.